Where you get good old fashioned home-cooking. The Royal has been in business for over 60 years in Little Falls. In that time there has been alot of changes and I am excited to be a part of these changes. My name is Lisa Bitz and I have been running The Royal since May of 2007. The Royal has a wide varity of menu options that is sure to please most anyone. We have all your needs covered from breakfast, lunch, and dinner. The Royal has a full breakfast menu which is served all day. If you are in for lunch try one of over 50 lunch items from burgers, wraps, salads, and our speciality sandwiches. We also have Pizza made just how you like it. Take one of our pizza home, made to order Take N Bake Pizza starting at just 5.99. 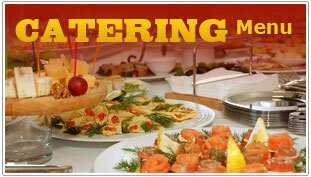 The Royal has also added great weekday lunch buffets starting at 8.99. All of our buffets include our huge salad bar and our homemade soups. Homemade pies are also available. If you are too full; we can box it up for you to bring home.